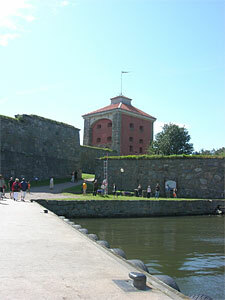 New Älvsborgs Fortress is located on an Island in the Gothenburg harbour. 30 minutes by boat. 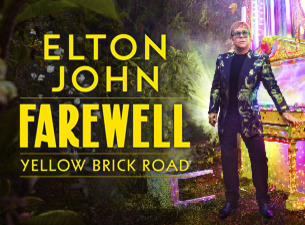 Season 2019: July 27 - AUG 17, 2019. Boat trip approx 30 minutes one way. Älvsborg Fortress, make a visit during the summer from July to early August. It's a lovely trip by boat in about 30 minutes from Lilla bommen. 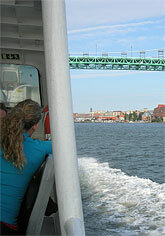 During the tour you will see Gothenburg from another direction - water. You get lovely views on the way out to the fortress. Onboard you can either sit inside or outside. Johan Wärnschiöld and was not finished until 1677. Between 1653 and 1677 a civil war broke out in 1657 and then the work temporarily was stopped. 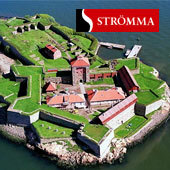 Before Älvsborg was built was the first fort on the mainland that we today call the Old Älvsborg Fortress. Old Älvsborg is documented in old documents already in 1366. In 1563 and 1612, the fortress was conquered by the Danish. Swedes had to pat ransom each time to recover the fortress. The ruins of the Old Älvsborg located next to the Rock (Mr. Svante Street). War with Denmark and what happend after that? Älvsborg Fortress was attacked several times by the Danish navy, between 1717-1719, but it never was taken. Luck was what, for what have Gothenburg been today, ... Danish maybe? Even today you can still see the cannon balls sitting interspersed in the fortress church. Luckily the walls were so thick! 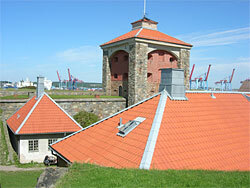 In summer you can go out to New Älvsborg Fortress and spend a day there. A nice summer day, it is really nice to go out to the Island. 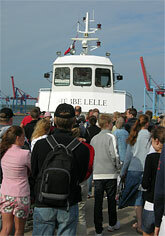 The boat departs from Lilla Bommen and the trip out takes about 30 minutes. You get to see much of the Gothenburg harbor. When you come to the fortress, you are welcomed by a dramatized tour that you can hang on without any additional cost. These tours usually highly appreciated. You will learn both about the fortress and how it was to live out there. On the fortress island is also a cafe. Otherwise, you can bring your own picnic basket and sit on the blanket on a cozy place and just enjoy the summer. The trip out to New Älvsborg Fortress is very popular so it's best to book your tickets online in advance. Ticket queues can be bery long a nice summer day and then it's nice to already have their ticket fixed. The boat departs three times a day from Lilla Bommen, you choose when you want to go back. 1719 - The Danish navy attack! 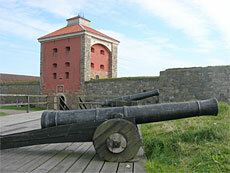 During a few days in 1719 the fortress was attacked by the Danes during the naval hero Tordenskiölds command. At this time, it was John Abraham Lillie who was the deputy commandant of New Elfsborg. Today we can thank John Abraham Lillie that he did not surrender when Tordenskiöld sent its envoy to the fortress. Twice sent Tordenskiöld an envoy, and each time, Johan said that "we will not surrender." The battle went on for four days and Johan Abraham Lillie also had at last got some help from Colonel Georg Bogislaus Staël von Holstein who fired the Danish from Hising side. The last time Lillie answered to the Danish before the battle, he said this: "to give up a fortress to be defended, are always a bother and want Mr to save blood, so is safer, he goes away again"
From the late 1700s to 1866 the forttress was a prison. In 1868 ended Älvsborg Fortress as a defense facility. After the peace with Denmark in 1720 the fortress started to become more and more a ruin. Some Commandants on the Iland? 1814-1843 appointed Major Krook as commandant of the Elfsborg fortress. 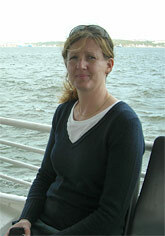 At this time, there were several prisoners on the island. After Major Krook took Colonel Carl Gustav Qyanten over 1843. He was amoung others known for his violent temper. For those of you who want to marry in a slightly different place, maybe the fortress can be an option. On the island there is the small church inside the fortress tower. The Church on the island was opened in 1706th. The fortress also offers a variety of activities for those who want to come here as a team and compete. Why not take your collegues or your friends and challenge them at a battle. For those of you who want to have a party and looking for a little different local, why not rent the banquet room which is open all year round. The fortress also provides rooms for conferences and at Christmas they even have Christmas dinner. When the "Old Älvsborg Fortress" imposed as a defense facility in 1660 a lot of stone is taken from the fortress to use the be used in the construction of the New Älvsborg Fortress.